British buyers have an ongoing love affair with the Costa del Sol. 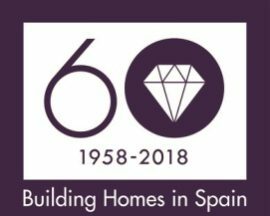 Taylor Wimpey Spain is selling Horizon Apartments, handsome new-build homes overlooking the golf course at La Cala, from £250,000 for two-bedroom flats and £297,000 for three-bedroom flats. Southern Europe’s largest golf resort is La Cala, established nearly 30 years ago near Mijas, just 25 minutes from Malaga. The resort is five miles inland with about 500 houses and plans for another 500 but even when fully built it will only have a maximum density of 12 per cent. Homes are built in clusters across the hilly resort and share good, established facilities of spa, gyms, indoor and outdoor pools and restaurants, with the golf academy and three courses taking centre stage. Most owners are keen golfers and a third are full-time residents.